If yet another piece of news about US President Donald Trump wants to make you fume with frustration, you can now do something about it -- eat him. 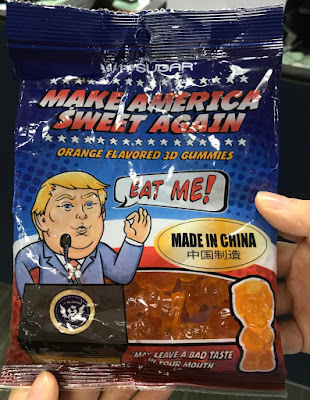 A colleague recently visited Los Angeles and brought back this pack of gummy candies in the likeness of the bombastic leader of the free world. They look similar to The Donald, complete with the big head, big hair, suit and tie. Interestingly they're all orange... was that intentional? 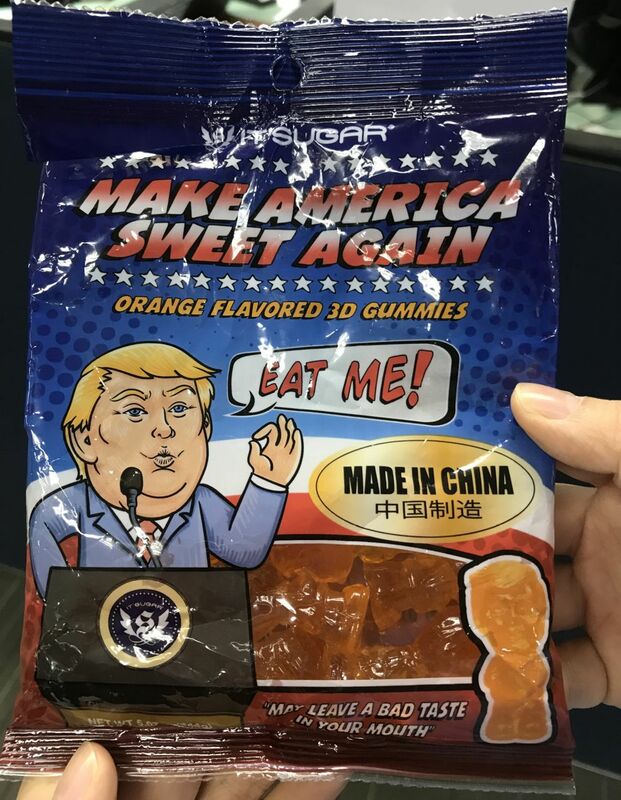 We love the packaging that screams, "Make America sweet again", with a caricature of Trump with the speech bubble: "Eat me!" It even adds the candies were made in China, and at the bottom, "May leave a bad taste in your mouth". So the next time Trump's off-the-cuff comments on Twitter or in the Oval Office has you fuming, get out the pack of gummy candies and bite his head off. Again and again. That sugar rush is a good (albeit temporary) feeling.